Is Samsung Installing Keyloggers on Laptops? It seems weird that a company like Samsung would go and install keylogger software on their products, but according to IT expert Mohamed Hassan, he found the software on not one, but two of his brand new Samsung laptops. While setting up a new Samsung computer laptop with model number R525 in early February 2011, I came across an issue that mirrored what Sony BMG did six years ago. After the initial set up of the laptop, I installed licensed commercial security software and then ran a full system scan before installing any other software. 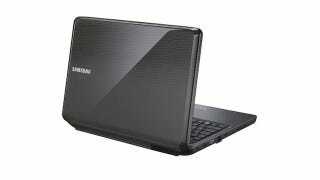 The scan found two instances of a commercial keylogger called StarLogger installed on the brand new laptop. Files associated with the keylogger were found in a c:\windows\SL directory. According to a Starlogger description, StarLogger records every keystroke made on your computer on every window, even on password protected boxes. Hassan determined that the software had been installed by the manufacturer, but he simply removed it and went about his business. When he had to return the computer because of another defect, he opted to buy a different Samsung model (R540). Guess what? The second laptop also had StarLogger installed. In the same exact location. The supervisor who spoke with me was not sure how this software ended up in the new laptop thus put me on hold. He confirmed that yes, Samsung did knowingly put this software on the laptop to, as he put it, "monitor the performance of the machine and to find out how it is being used."